Most people don’t have to deal with household emergencies very often so when disaster strikes, there are many questions that the home owner will have to face and often time they don’t know where to start. Should they start cleanup themselves? How much of the damage will be covered by insurance? How long will it take to get their home back to where it was? What are the steps to minimize damage to your possessions and dwelling? Some of these steps may seem counter intuitive like what you should move and informing your emergency restoration company before you call your insurance company. Moving only the items that were directly effected by water helps to insure that you not only risk further damage but also properly identify your damaged possessions. Something as simple as vacuuming up standing water can change the whole way an adjuster sees the disaster. Brothers restoration will rapidly respond from our Northglenn location to your home. We will properly identify and begin to log and collect information for your insurance claim. Often times, your adjuster will not be able to respond immediately. While you wait for their assessment you are risking further loss and possibly even reducing covered items. It may seem that your claim may be more protected by waiting on your adjuster however it is easier to justify your claim if you minimize the damage with quick response. Often times your insurance company will have a preferred vender. When insurance companies choose a preferred vender it can be due to reliable service however at times it can be due strictly to special pricing. It is important to know that by law you have the choice of restoration company. 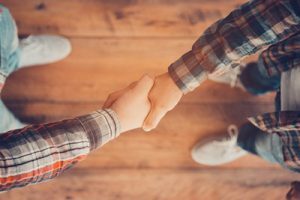 When you work with a preferred vendor you will need to realize that the company has a relationship with the insurance company. It is more likely for a preferred vendor to protect the insurance providers interest rather than the homeowner. A company with 24/7 emergency response for flood, fire, mold, and trauma. A company that has technicians who are both compassionate as well as certified by the IICRC. A highly recommended company with a good reputation. A full restoration company that will handle the rebuild for you. A company who is local as well as invested in our community. Based on the evidence that they collect for your claim your adjuster will be making an assessment of damage. As the homeowner, your most important task above all is to help provide evidence. Both providing pictures for their report and verbally communicating your observations are important. Nobody is as aware of the previous state of your home as you are likewise your effected possessions should stay in place until properly documented. We are experienced in identifying insurance companies necessary evidence. Many people see the adjuster as the person who is going to come in and minimize the amount that they will be able to claim. Although the adjuster is making observations on the insurance companies behalf they are there to help you get your home back to normal. It helps to have someone on your side to provide everything that they need. Brothers Restoration’s immediate priority is to remove, treat, and clean effected materials but that is just where we begin. We work with your insurance adjuster to justify all work that was necessary to repair your structure. We use industry standards that have been agreed on by both insurance and restoration companies. Knowing what the insurance will cover is key to maximizing your claim and getting the full value of your repairs. Additionally Brothers restoration works for you and handles the insurance company and reduces the stress you have with fighting your claim.